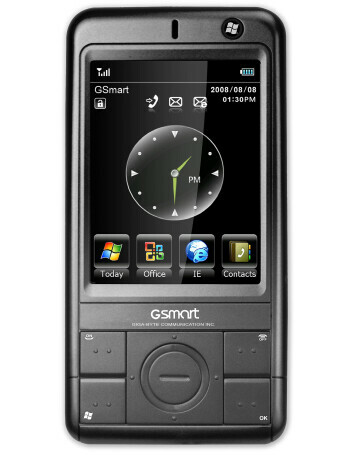 Gigabyte GSmart MS802 is a tri-band GSM PPC phone with HSDPA support. It features color QVGA display, 3 MP camera, GPS, Wi-Fi, FM Radio, microSD slot for memory. It is powered by 520 MHz Marvell processor and runs Windows Mobile 6.1 Professional.